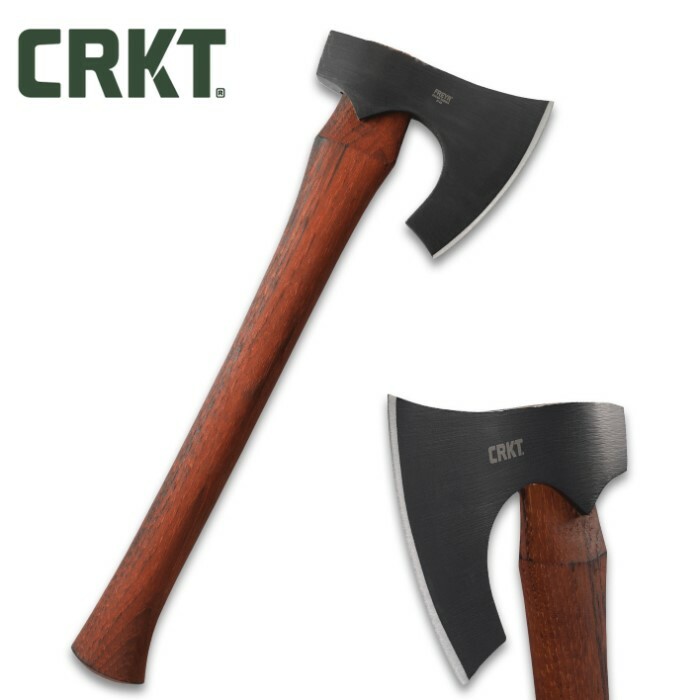 CRKT Freyr Tomahawk Axe - Hot-Forged 1055 Carbon Steel Blade, Tennessee Hickory Handle, Prominent Beard Design - Length 16” | BUDK.com - Knives & Swords At The Lowest Prices! Norse design with a soul that’s all American. 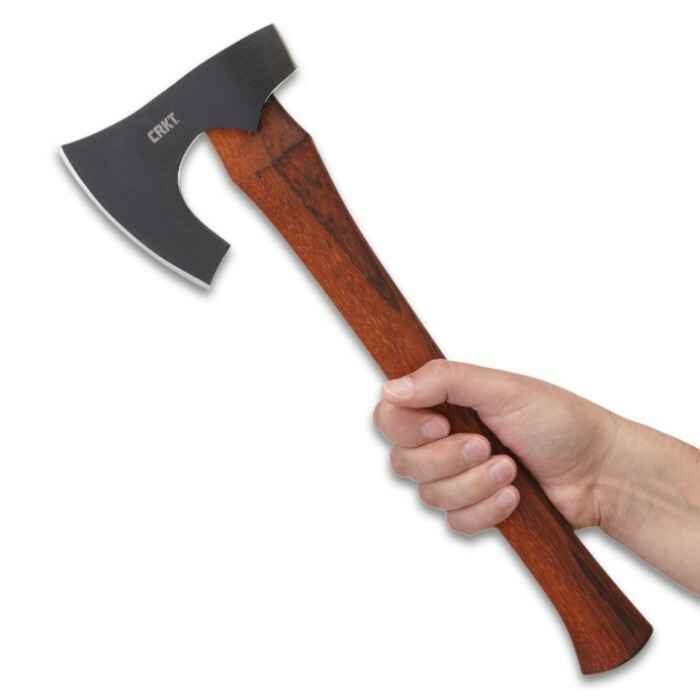 Why meddle with an axe shape that has been tried and true for over a thousand years? 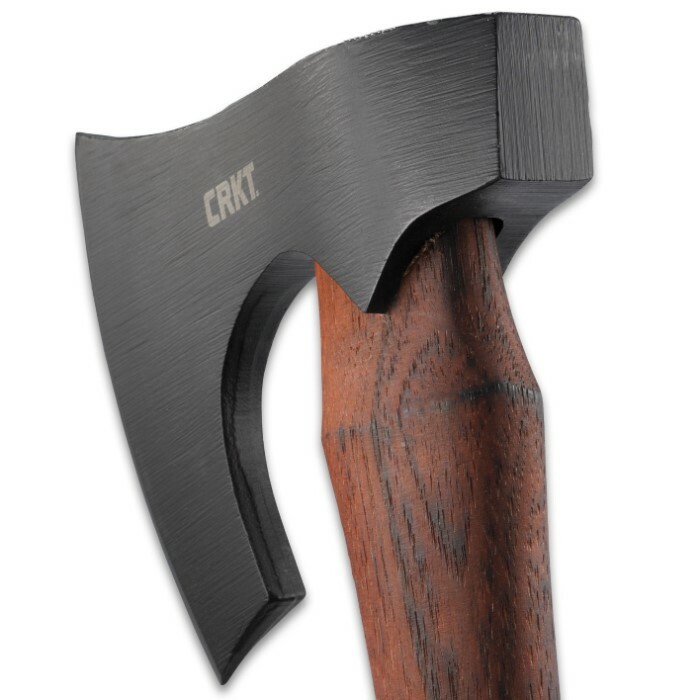 That’s the logic designer and veteran Elmer Roush brings to the Freyr Tactical Tomahawk Axe. The deep beard echoes Viking style but its balance and pure burliness boosts it into a contemporary league all its own. The 4 1/2” blade is crafted of hot forged 1055 high carbon steel and it is attached to a genuine Tennessee hickory handle. Shield and Viking battle cry not included. I like the way the beard on this leaves enuff room between the blade and the handle to snug fingers/hand high up and use the head/blade as a scraper or even a knife edge in a pinch. Anyone know what this sucker weighs?